Oscar was great and Forest River (Gary) was very helpful. I would buy from you again. Great job by your staff! Five stars for MHSRV. I chose to do business here because of the awesome prices and excellent service. I like everything about my new Thor Chateau Citation. The sales process with John was easy. No stress. Jose did a good walk-thru on the RV. I would rate MHSRV five stars, mostly because of their great prices and service. 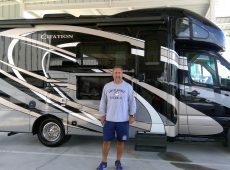 I especially like how I can spend the night to try out the new RV. Justin in sales was great to work with. I will be sure to recommend MHSRV to friends and family. Brian went out of the way to make us feel comfortable about the purchase by even facetiming us a walk through and answered all of our questions. We definitely was great to work with and put in the extra effort. Competitive prices, good inventory, and respectful service at MHSRV. I will definitely buy here for my next need and I will recommend! 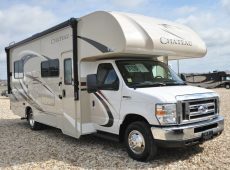 :0) I ended up purchasing a Thor Chateau and I like everything about the RV. Prices at MHS are the best and they have great inventory. Carl and Juan were both great. 5 stars for MHS. The quality of service you will receive at MHS is simply excellent. 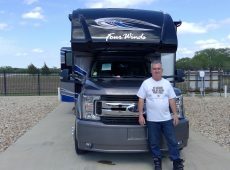 We were able to get the 2018 Thor Gemini equipped with amazing features and options, diesel engine and the perfect size for what we were looking for. Carl and Martin were top rate salesmen who made the entire experience for us. 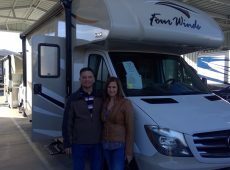 I purchase the D4 Fleetwood Southwind RV from MHSRV because they had the best deal on what I wanted. I had an excellent sales experience working with Ted and Omar was the best when giving me the walk-through. So excited about this purchase! 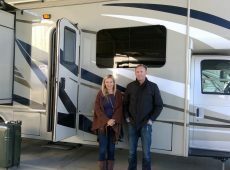 Everything at MHS is excellent – from the quality RVs and prices to the customer service and find people that work here. Main reason for choosing MHSRV as my dealer for purchasing was because of the internet shopping. Collin helped to make for an excellent sales experience. Roy also did an excellent job walking me through the RV. It was a pleasant experience. Also, your ads, website and videos really helped with my buying decision. Thank you for the excellent service overall. 5 stars for Motor Home Specialist. We really enjoyed the people with spoke with; they weren’t pushy salesmen. 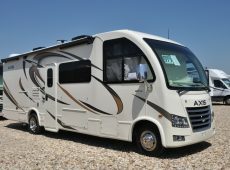 Prices here are the best we could find and they offer a good selection of quality RVs. Collin and Roy were both easy to work with and made for an easy experience. We will absolutely be referrals of MHSRV. I loved the ability to meet Steven from Nexus who was here during my first visit. 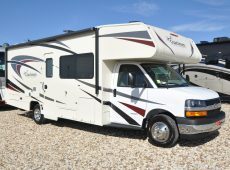 MHSRV has an outstanding selection of quality RVs with competitive prices. Lonnie and Matt were also outstanding. 5 stars. MHS has the cheapest prices for what we wanted to purchase. John and Martin were both great during the sales and walk-through process. We will absolutely be recommending MHS to our friends and family! Blown away with the experience at MHSRV and the quality of service and the product! We are spending the night so they loaned us a car to go shopping. Awesome! I appreciated the no pressure experience. Like the fact the sales prices were listed on the coaches. Thanks Buck and Mark for the help! 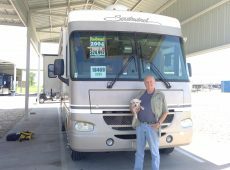 The main reason for purchasing with Motor Home Specialist was because of price. Great service! Brandon and Omar get 5 stars for their service. Brandon was the BEST! Staven and Omar were both excellent. Loved the no pressure, low prices from the beginning approach. No surprises! MHS staff is very friendly and helpful! Would buy from here again and again and again! Everyone has been super polite the whole way through the sales process. Brandon was wonderful, informative and fast through the sales and closing. Ivan was super thorough when he walked us through the selections. Thanks for the Coach! 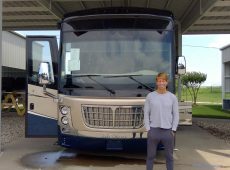 We found a coach that hit all of our wants and at the right price at MHS. 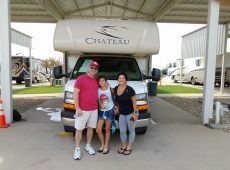 The prices are excellent and they have a great selection with great quality RVs. Buck was smooth and easy when he was describing our sales process. Travis gave us excellent customer service when taking us through the walk-through. Overall, an excellent experience. Carl made our sales process easy and the closing experience painless. Lee was very thorough during the walk-through. 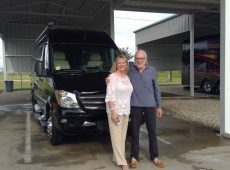 I have a previous experience with purchasing vehicles from Motor Home Specialist. When looking at the 2018 Thor Aria, I knew this is where I wanted to shop again. 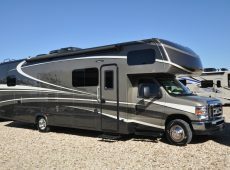 The bunk up front, slide outs and storage of this RV made this an easy decision. On top of the great prices and quality, Jordan and Arturo were also incredible to work with. I give Motor Home Specialist 5 stars! Staven Corey was excellent and did not rush this process for me and my family. Omar walked us through the selection and was able to answer all of my questions. 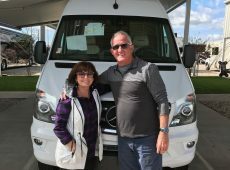 Motor Home Specialist was so accommodating! Never had so much freedom to talk time, sleep over nights and got fed. Thank you! 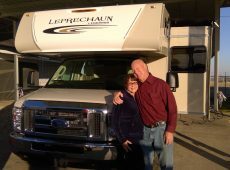 We got the 2018 Coachmen Leprechaun 240 FW from Jimmy Campana at Motor Home Specialist. The main reason we went with MHS was the excellent prices. 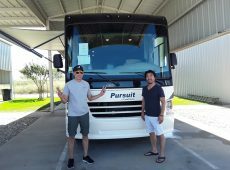 Jimmy and Roger took us through the amazing options and features like the exterior TV and single pop out beds. They gave us 5-star customer service. We will absolutely be recommending MHS to our friends and family. 5 stars for Motor Home Specialist. 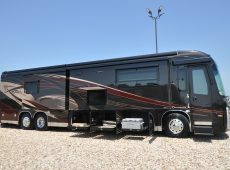 Prices here are good and the quality of coaches on the lot are very good! We really liked that the Fleetwood Jamboree was a low cost Class C w/ bunks. JD in sales was good and Roy did a good walk through. We really liked your website and awesome google search engine. 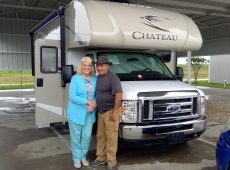 Service overall at Motor Home Specialist was very good and we will definitely refer our friends and family here. 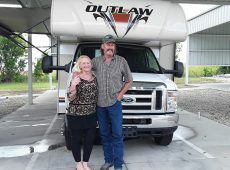 Making a purchase of this magnitude long distance was a scary proposition but at every turn Ted & Mark Henry were available and responsive with answers to questions and documents. We were treated professionally when we arrived and every request was accommodated. Collin adapted to several timing challenges we created and never lost patience even after our millionth question! To top it off, prices at MHS were the lowest I found and the selection was invaluable. 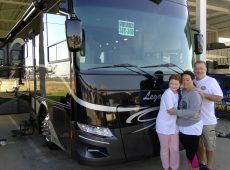 Of all the features in my new coach (Fleetwood Discovery), I especially like the shower, bath and 1/2, fireplace, floor plan, and under carriage storage. Additionally, I had the best training experience I've ever had with Collin Caffey. He was professional and demonstrated the patience of job! 10 stars!!! Even the closing and finance portion of my interaction was effortless! 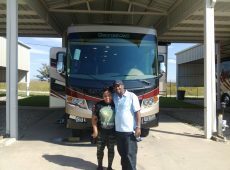 I received impeccable service here and will most DEFINITELY recommend Motor Home Specialist to everyone. GREAT JOB! The main reason I decided to purchase from MHSRV was because of their customer service and inventory. The prices were better than most, very reasonable. Staven Corey was excellent to work with. The MHSRV was also very helpful. I will absolutely be a referral of this company. MHSRV had the one that spoke to us. Prices here are competitive. 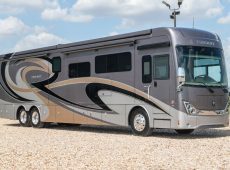 I really like the fireplace and overall look and feel of the 2018 Fleetwood Bounder. Sales were good and easy with Jimmy. Arturo did a very good walk-through. I will be sure to recommend MHSRV to others. Prices at MHSRV are lower than other companies. 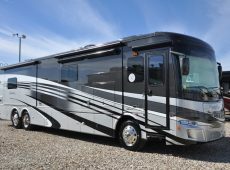 They have top-notch quality RVs and provide excellent service. 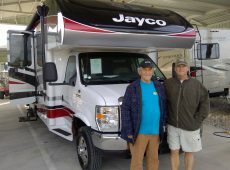 I really like the bunk beds and full body paint on my 2016 Jayco Greyhawk. The sales process with Coach was excellent. The walk-through with Colin and Coach was easy. I received excellent service. I will be sure to recommend MHSRV to family and friends. Ted was awesome to work with, he followed through with everything. The company should be proud to have him on their team. Collin was great too! I initially did business here because of the excellent prices. 5 stars for MHSRV. 5+ stars for Motor Home Specialist! Great prices and outstanding inventory here. Outstanding service from David, Billy, and Juan. From the moment we first talked, to the signing of the contract, everything was A1. 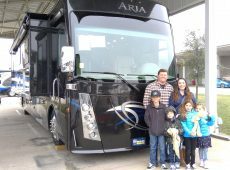 This was the best service ever from an RV dealer. Next time we're ready to upgrade, we're coming back! 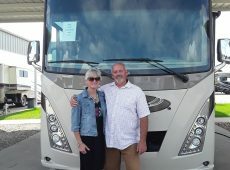 Motor Home Specialist was a great referral from friends and the “Realm.” They have very fair prices at MHS along with excellent motorhomes and outstanding service. We worked with Ted Eaton in sales and he was efficient, straight forward and honest. Lee did a very good walk through of our new coach and he was very professional. We like everything about our Realm. The design on the interior is much like our home - great taste!! 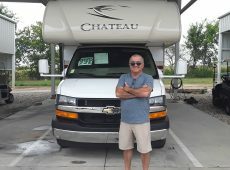 I can not suggest any improvements for Motor Home Specialist. 5 star rating. 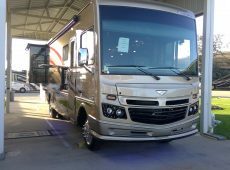 The RV that I wanted was in stock at Motor Home Specialist. 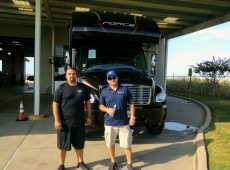 Kris Menden did a great job in sales and Colin did a great job walking me through the features of my new Dynamax Force. Great service at MHS. 5 star rating. 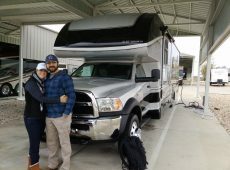 An amazing experience at Motor Home Specialist. I will definitely let people know. The walk through gentleman, Steven, was very professional and everyone else involved in our purchase was great. It was the very competitive prices, and overall atmosphere and people at MHS that had us purchasing here. Additionally, Carl in sales delivered an excellent experience. We received wonderful service and will highly recommend MHS. Thank you. I chose to purchase here becuase of their unbelievable prices and their people. The service overall was excellent. This was one of the best experiences I have had. You all are amazing people. Thank you so much! Your crew that helps with repairs is phenomenal! They are very courteous, polite and professional. Everything we asked to be fixed was NEVER a problem. Martin, Carlos and Gabriel were exceptional. A+ service from them! They really know their stuff and gave us EXCELLENT service. This crew made our experience positive! 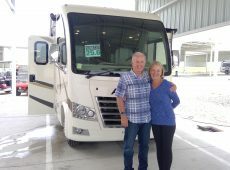 We initially chose Motor Home Specialist because of the prices, availability and selection. Prices were the best nationwide. 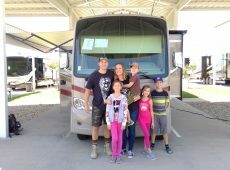 We purchased a Thor Windsport and really love the floor plan, wind sensor in the awning, dual a/c, rapid camp, and exhaust fan. 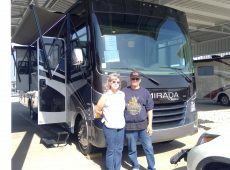 JD was smooth and offered a no hassle approach to selling and was also very helpful. Martin delivered a very complete walk through and was kind and courteous. He is amazingly knowledgeable. 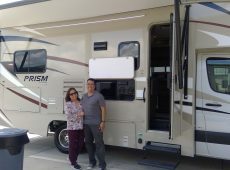 We will definitely be referrals for Motor Home Specialist because of their excellent customer service. I give 5 stars for MHSRV. Main reasons for purchasing here was because of the inventory and good prices. I worked with Marty who did and excellent job in sales and Matt did a god walk through. The service overall was good. I will be sure to recommend MHS to friends and family. 5 stars! Great experience at MHSRV. 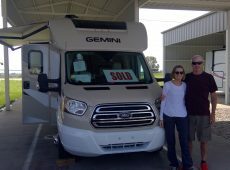 It was their excellent selection and prices and there were no gimmicks, just straight forward, which is why we decided to purchase here. 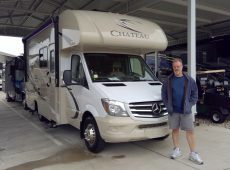 We purchased a Thor Chateau and really like the fully equipped back up cam and auto stability. The sales process with Brian Kelley was easy and Juan did a thorough walk through. 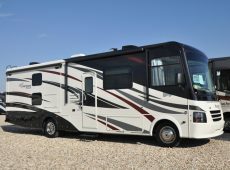 We will be sure to refer our friends and family to Motor Home Specialist. 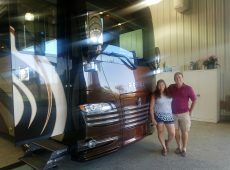 I really liked the floor plan and price of my new Coachmen Galleria at Motor Home Specialist. Brandon Neal in sales made things simple. The walk through was just right, not too much. 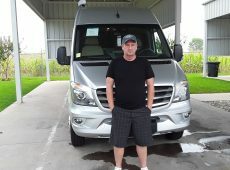 Overall I received great service from Motor Home Specialist. 5 stars. 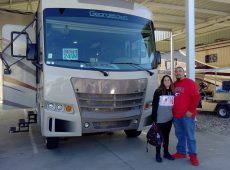 We decided to purchase with MHS because of their inventory selection and it being true to what their online website shows they have available. Prices here seem to be extremely fair and they have a great selection for what the budget is. 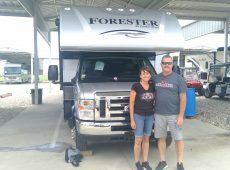 The Forest River Berkshire is the RV we ended up purchasing and we really like the diesel engine and comfort options. 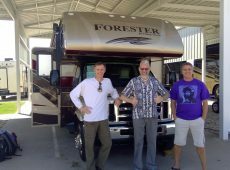 Kris and JD were our salesmen, but really it was Billy Fussell. Everything went smoothly and Steven did a really informative walk through for us. 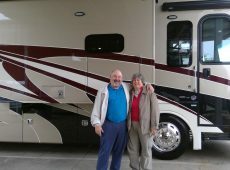 Service here was top notch and we will for sure tell our friends and family about Motor Home Specialist. Motor Home Specialist had the coach we wanted, which was the Coachmen Freelander. 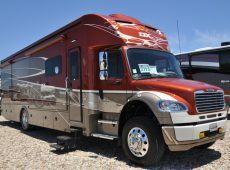 We really like the bunk beds and cleanliness of this particular RV. Great prices and a good selection at this company. Brandon Murphy was awesome! He made things easy for us. Brandon also did a thorough walk through of the Coachmen. Great service at MHS and a very easy experience overall. 5-star rating. The very good prices and knowledgeable staff are the main reasons I decided to purchase here. 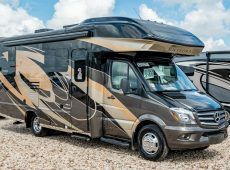 I got a 2017 Coachmen Pursuit and really like the drop down bunk. Ted in sales was excellent to work with and Roy did a fantastic job during the walk through process of the new coach. I had a great experience and everyone was super friendly. I loved my visit to Texas and will absolutely refer friends and family to do business here. Great prices. Marty Hunt was quick and easy during the sales experience. He did an excellent job at the walk through as well. Really like the MHS videos. Thanks!